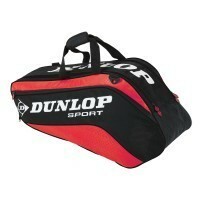 Here are a few Dunlop squash bags for you to peruse. Dunlop racket bag styles change every year, and I update this page as best I can when new stuff comes out. To find out prices and availability, just click though any of the links below depending on your location. Those are all shoulder bags, meaning they have long straps and you can sling the bag over your shoulder. You can also wear them over two shoulders like a backpack, or grab them with one hand via a smaller handle on the top of the bag. 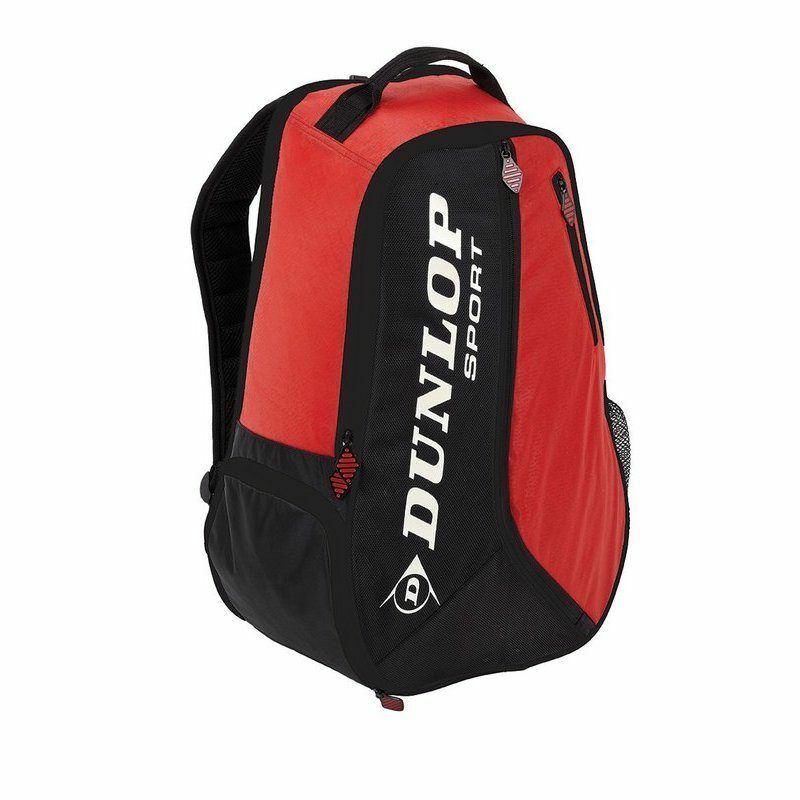 In terms of backpacks, there’s the Dunlop commuter backpack, where the rackets fit fully inside the bag, and the plain ‘ol Dunlop backpack, where the handles stick out the top. Finally we have a couple specialty bags. 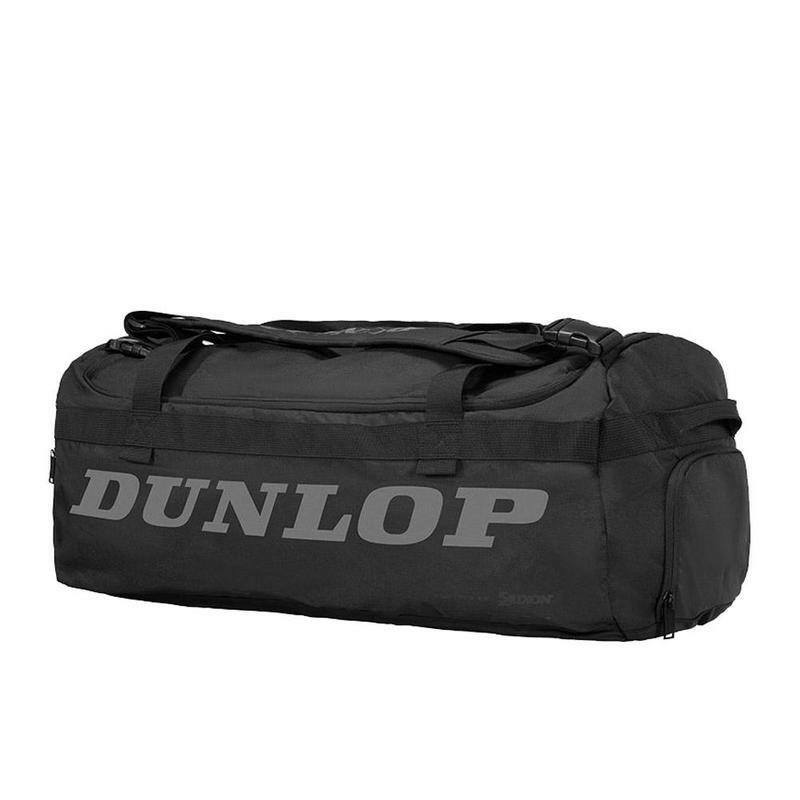 There are two Dunlop duffel bags for 2019, as well as a luggage-with-wheels option. 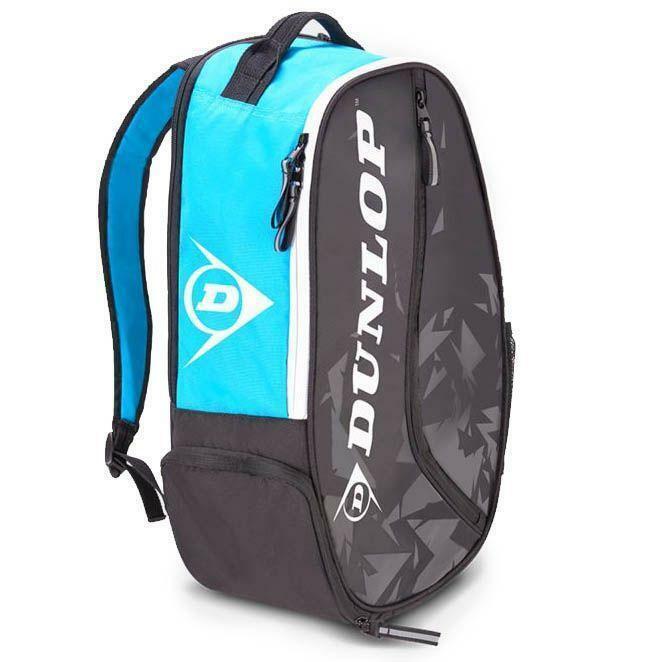 Holy cow, it’s a 15-racket squash bag from Dunlop, spotted in April 2019. I’m not sure how a 15-racket bag works exactly. 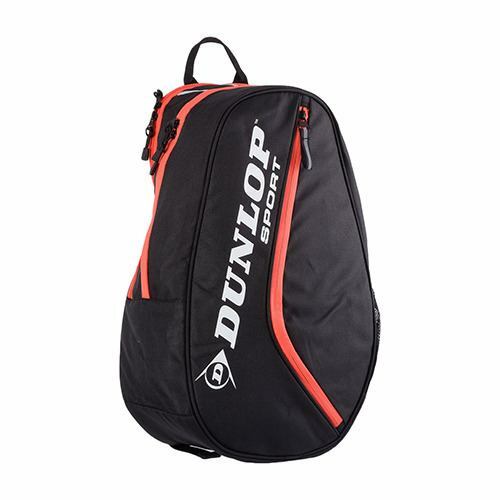 According to PDH Sports in the UK, this has three main racket compartments (same as the 12-racket bag). Maybe it’s just more roomy in each compartment? Anyhow I assume I can fit Jimmy Hoffa’s body in there somehow. 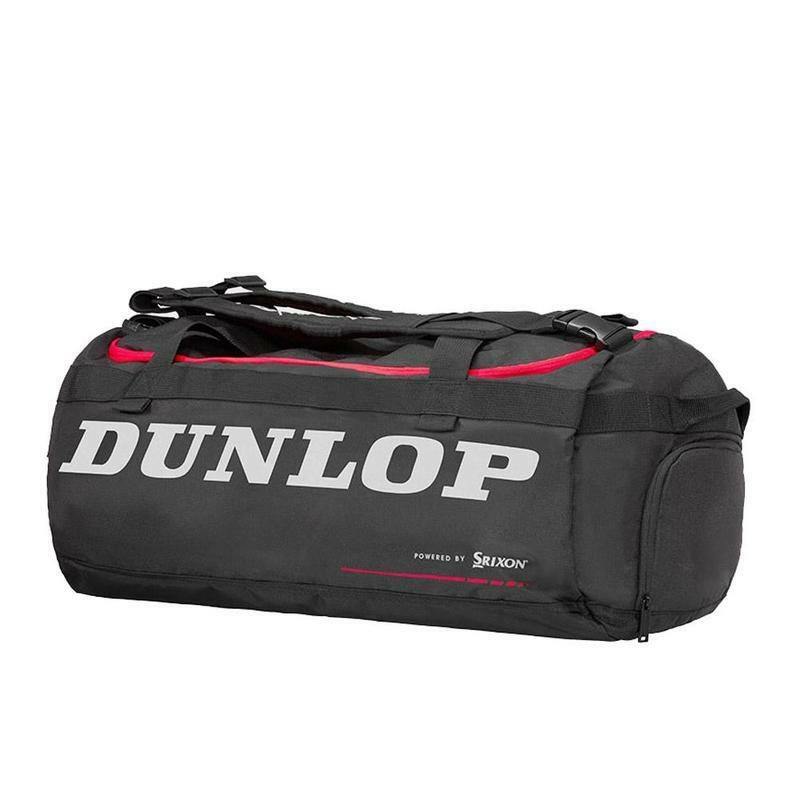 This is called the Dunlop CX Performance bag and it says “Powered by Srixon” on the side. 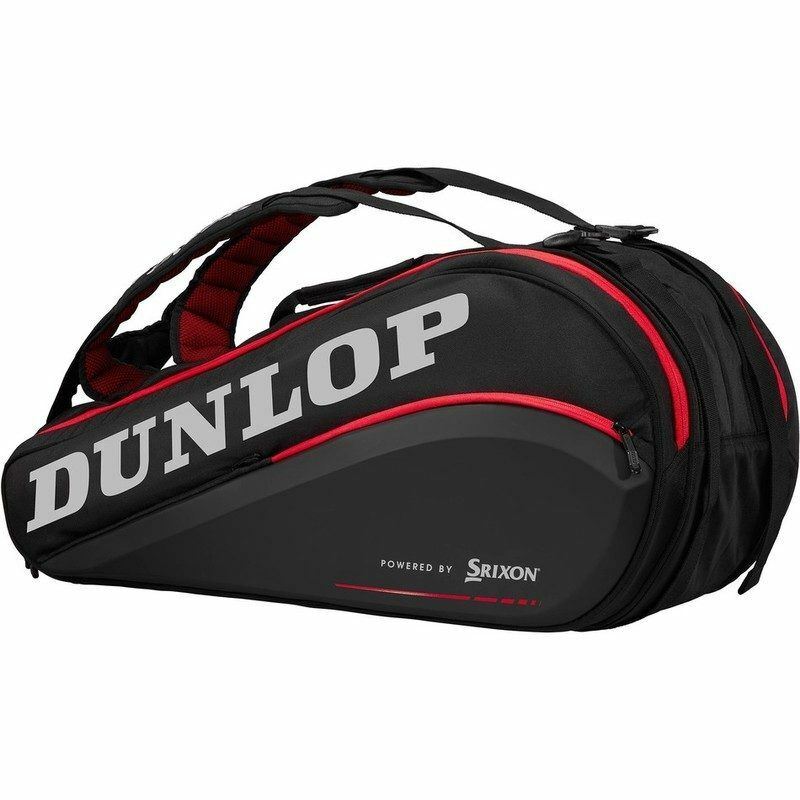 Spotted this version, the Dunlop Performance 12 racket bag, in October 2018. According to Jamie in the comments, some consider this big enough to hold a small cello. I can only imagine what they would think about the 15-racket bag. 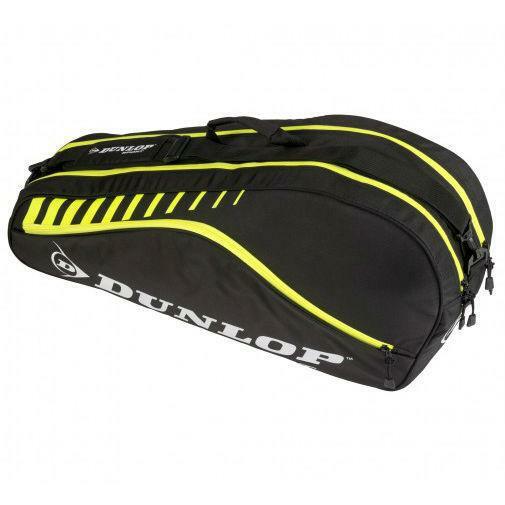 So this is the 2019 Dunlop CX Performance 9-racket bag. 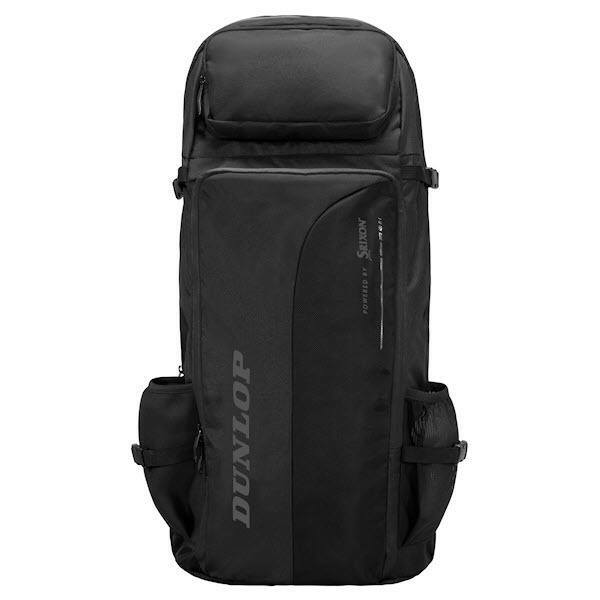 Last year, Dunlop had an 8-racket bag, but I guess this year they wanted just a little more. This is the same bag as above, just all black, and photographed from a different angle. 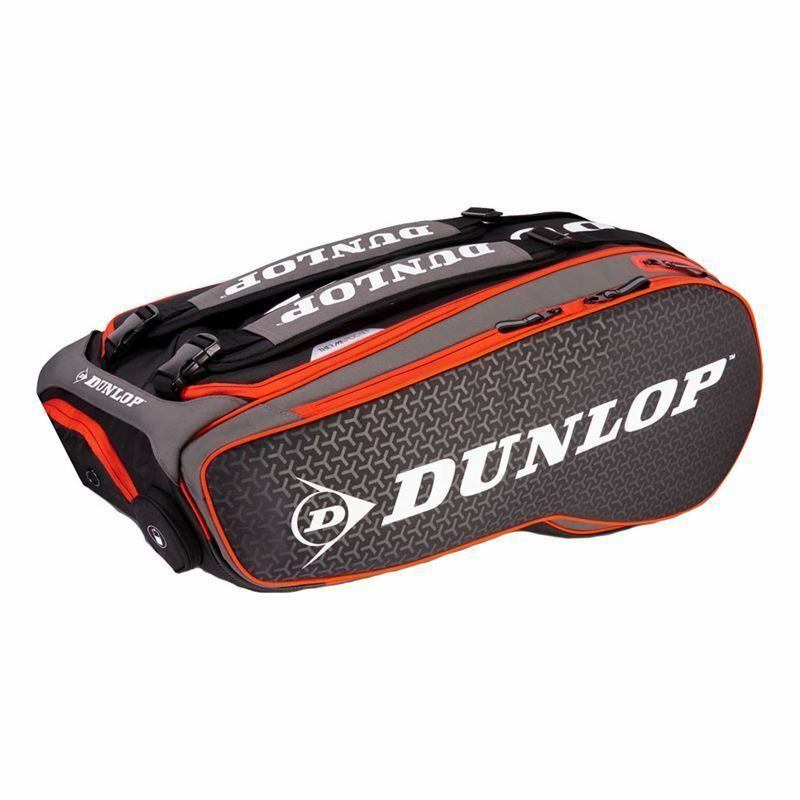 I just saw this one, called the Dunlop Club bag, in 2019 at PDH Sports in the UK. 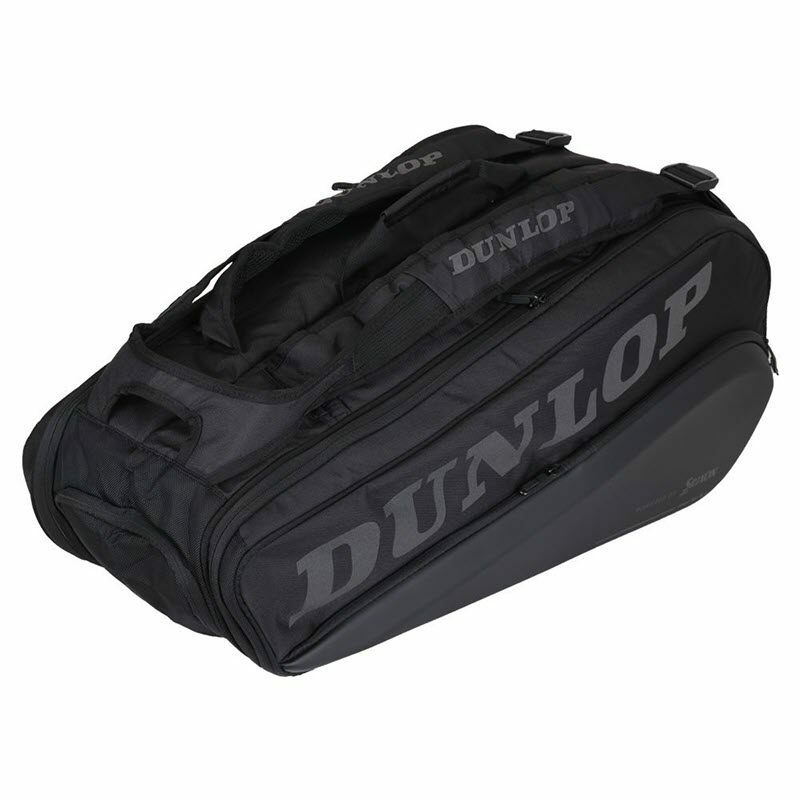 It might be an older model, since it doesn’t really match the newer Dunlop bags. Looks like it has two main compartments plus a smaller side compartment. 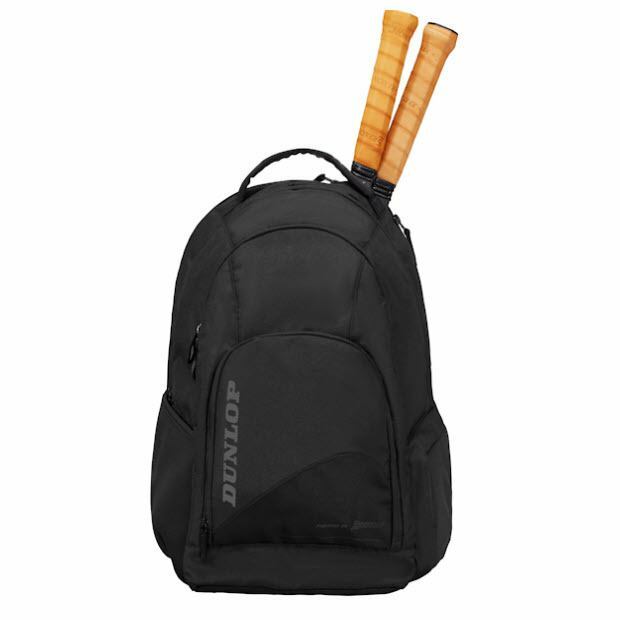 The Dunlop Srixon backpack is the 2019 version of the original commuter backpack (see my review of the prior version below). 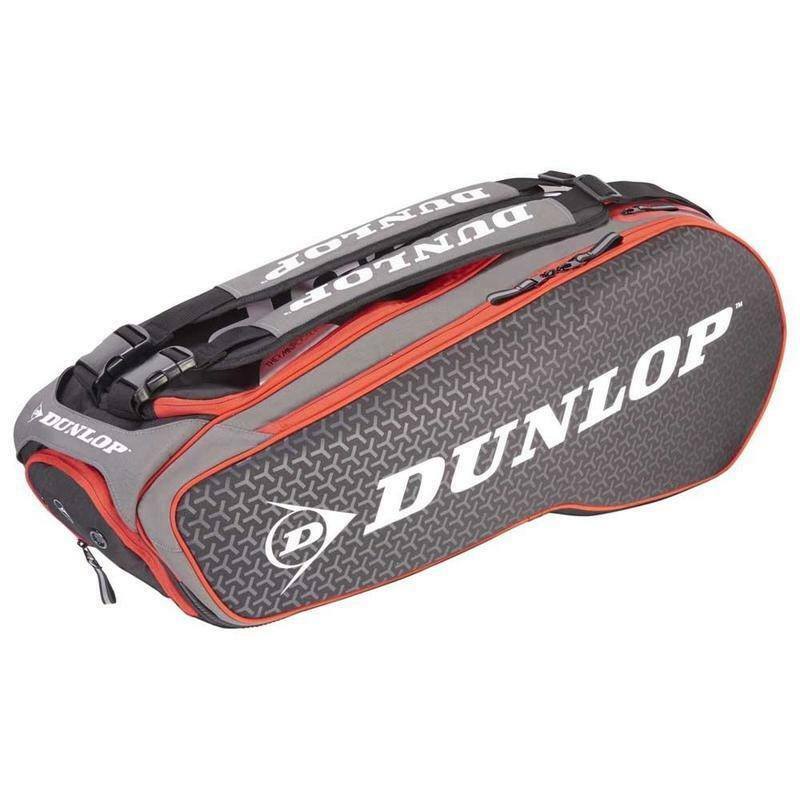 This is a great concept: the bag is tall enough to completely enclose your rackets, so the handles don’t stick out the top. Although this bag is tall, it’s not especially spacious inside. If you want a really large bag to fit lots of stuff, you should check out the shoulder bags listed above. 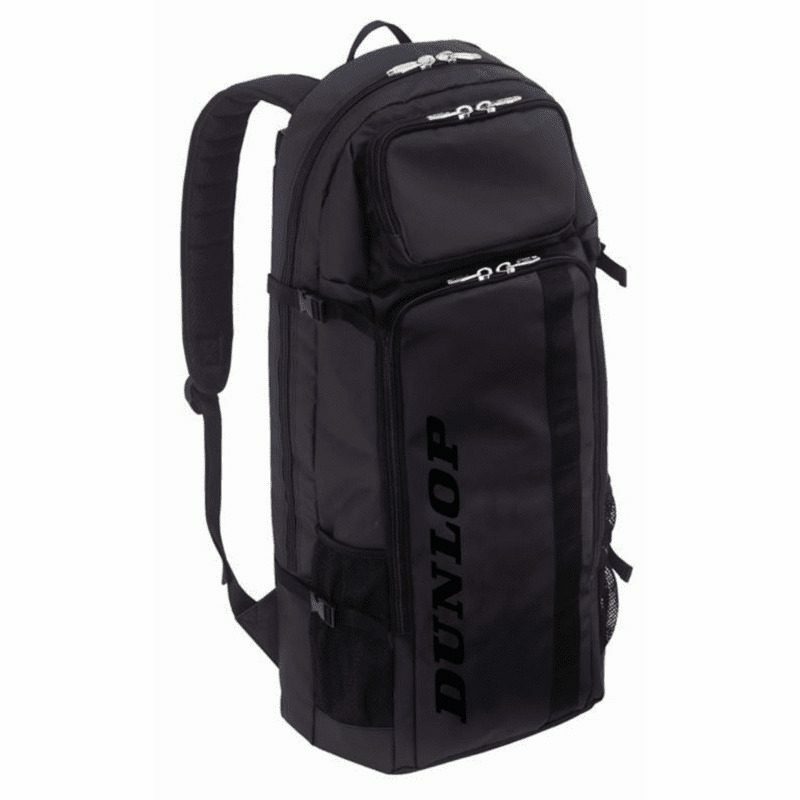 This bag is listed on PDH Sports as the “Dunlop CX Series Long Backpack”. From the picture, one change I can see they made from the prior model is one of the side pockets is fully fabric now, as opposed to having both side pockets be mesh. 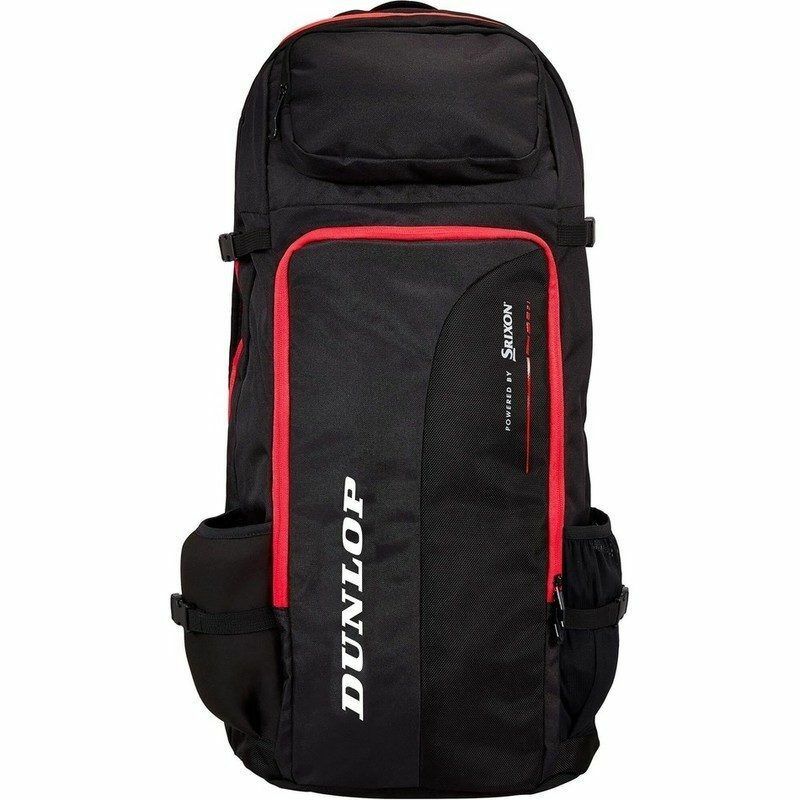 Paul from PDH Sports did a preview of this bag in the video below. I remember seeing this bag previously at one point but I didn’t post it because of the Srixon branding, which I associate with golf. After watching this video, I feel differently though. This one also came out in 2019. It’s the same as the one above, just all black. I got a chance to test this out and my review is here. I love it. 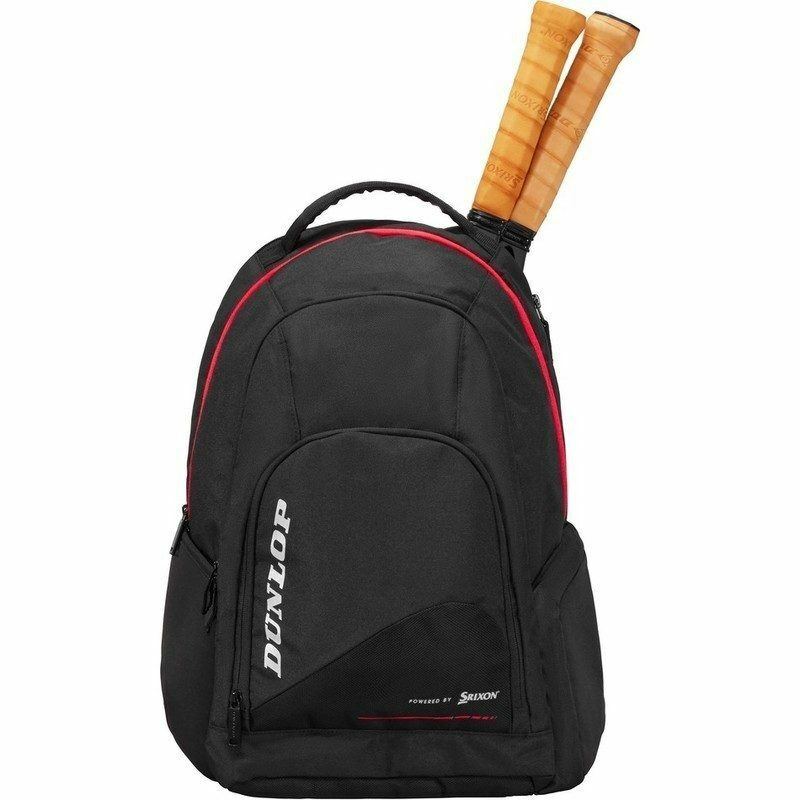 The “Commuter Backpack” is the perfect name for it: you can bring your squash stuff to the office or on the train without your bag screaming “SPORTS”. 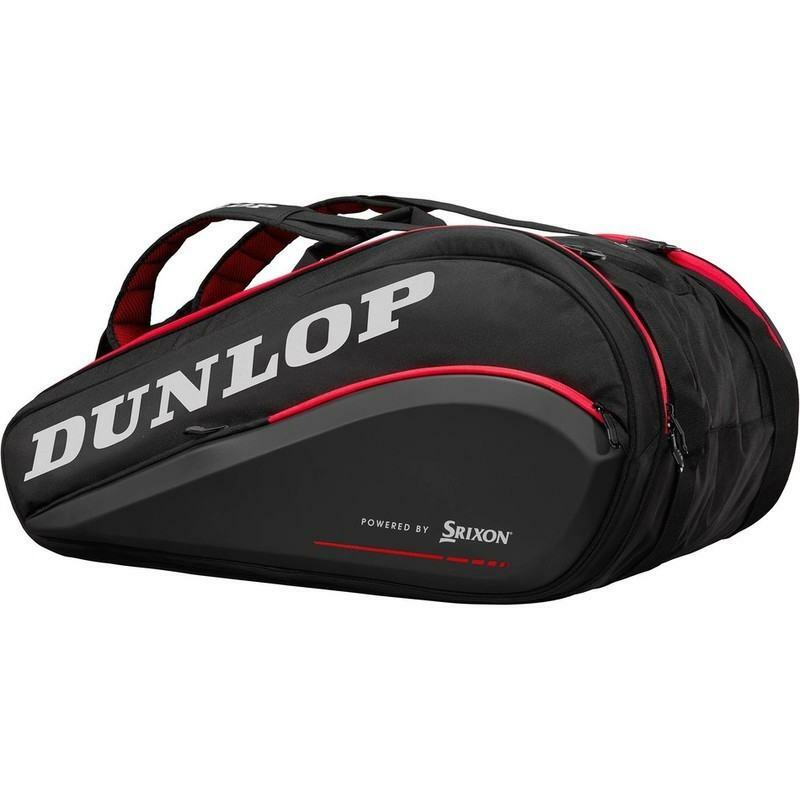 And it’s not meant to be a super large bag that you’d bring to a tournament or other multi-day event — it’s just a day bag for one workout or match. 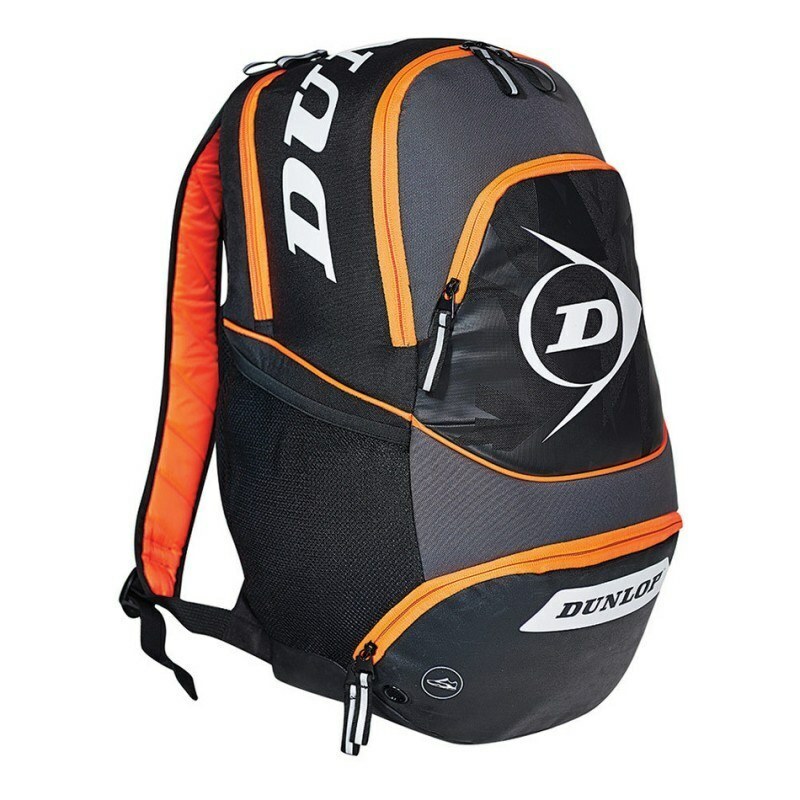 The basic Dunlop squash backpack, where the handles stick out the top. The CX models below were first spotted in 2019. Here’s a black and orange one spotted in 2016 that I think looks pretty cool. 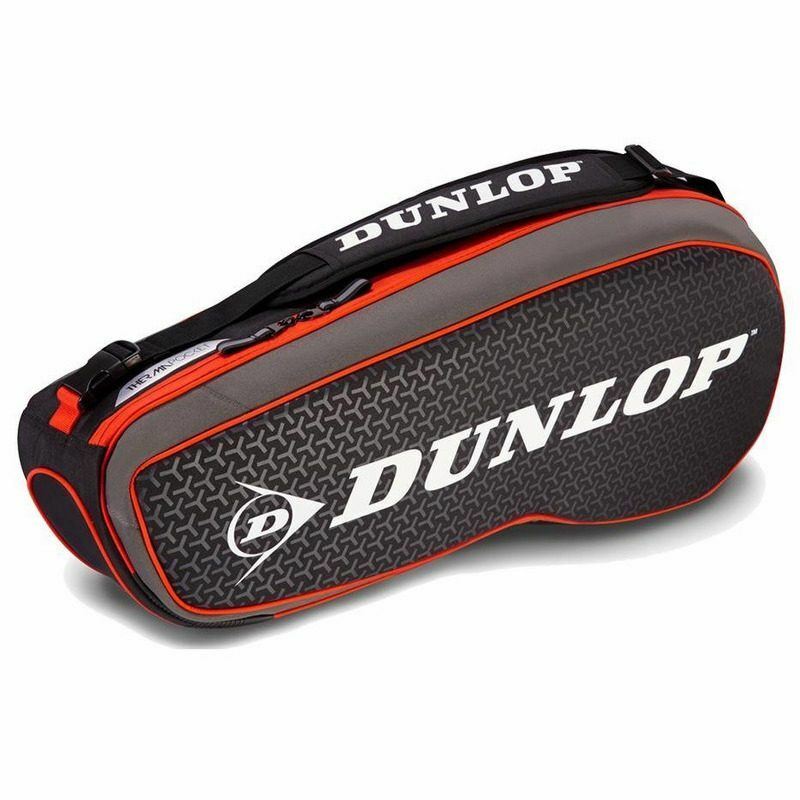 Stuart, the pro at my club, uses this bag. Or rather, he used to use it, until I turned him on to the Commuter backpack. 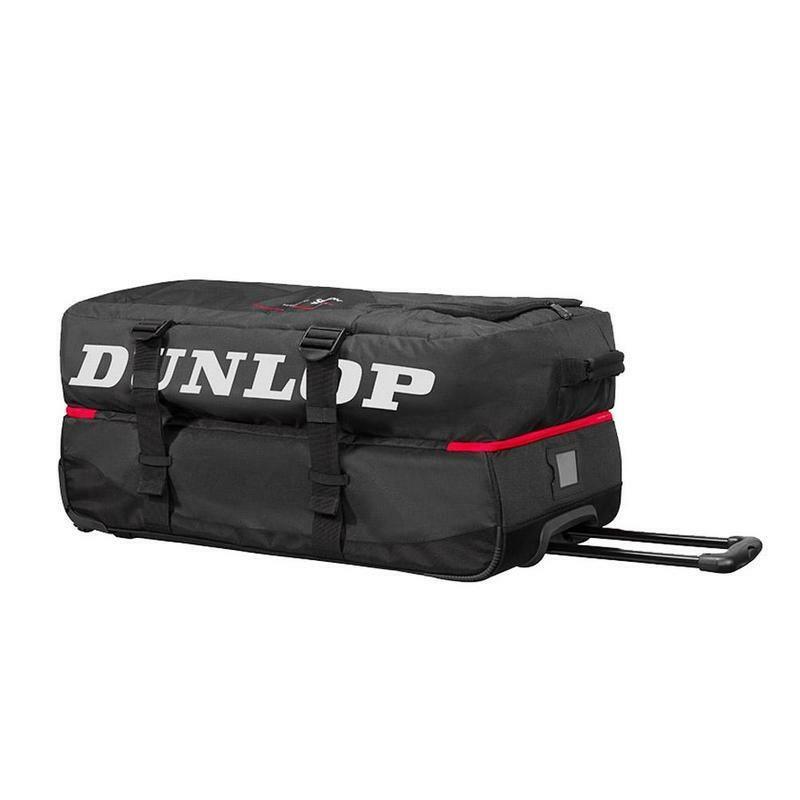 Here are a couple Dunlop duffel bags, which were spotted in 2019. 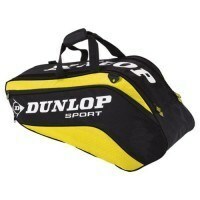 These are part of the Dunlop Performance CX range, like many of the other bags above. These are older models that are difficult to find now. 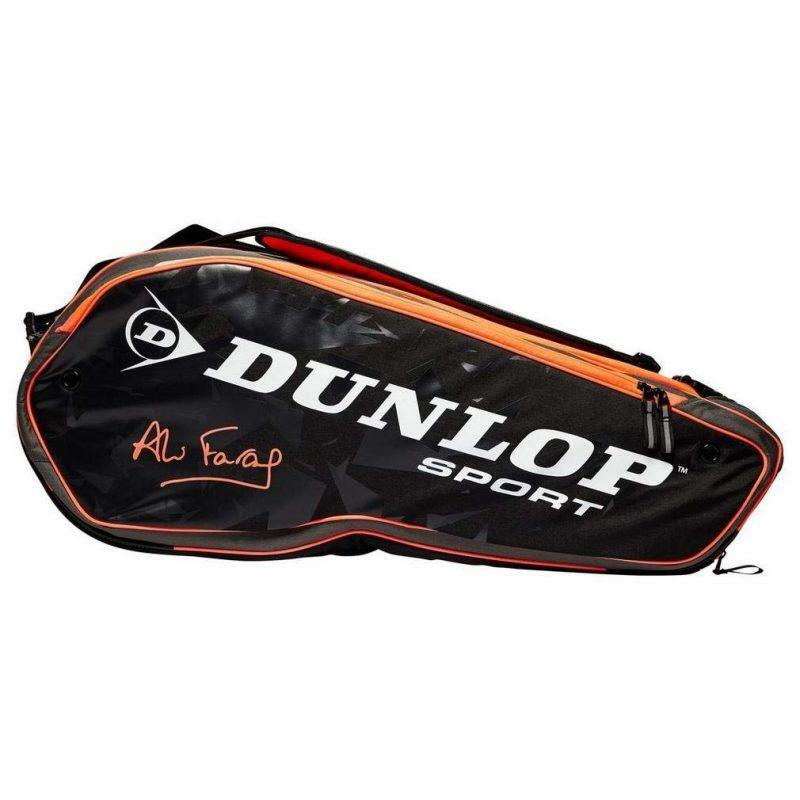 This was a 6-racket bag that came in green, yellow, red or blue. I don’t think it’s available any more. I’ve only seen this one in blue. Folks, these are large bags. Haha. 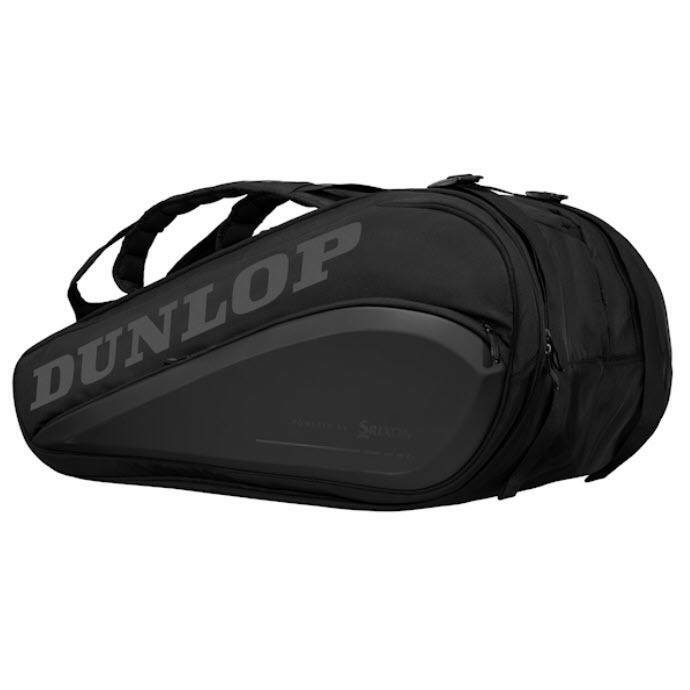 That classic “Dunlop Sport” small cello bag. I had something quite similar with the same bag but in black and green. I was riding my scooter on my way to the club, cops stopped me near a round about and told me the bag was too big and was covering my number plate. 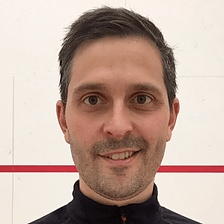 So if you’re a squash player and a criminal go for that bag, Squashsource top tip.